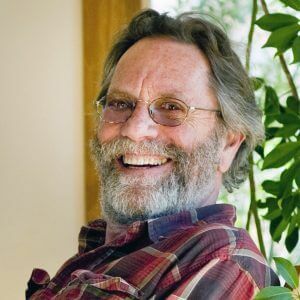 John Abrams is the co-founder and CEO of South Mountain Company, an employee owned enterprise committed to triple bottom line business practice. In 1987 South Mountain re-structured as a worker cooperative, and today 21 of its 33 employees are full owners. In 2005 Business Ethics Magazine awarded South Mountain its National Award for Workplace Democracy. South Mountain’s integrated architecture, engineering, energy, and building teams—all in one company—create effective design/build production of zero energy buildings, deep energy retrofits, high performance neighborhoods of affordable housing, and a wide range of renewable energy installations. In the 40 years since SMC’s founding, John has had many roles in business, in his community, and in green building. He challenges conventional business concepts: that bigger is better, that profits come first, and that location is incidental. The narratives found in his resonant memoir, The Company We Keep, demonstrate that one can bring high values to the workplace, promote ecological restoration, uphold high standards of craftsmanship, control growth, and still run a successful (and highly collaborative) company. A second edition of the book, Companies We Keep, was published in 2008 with a broader focus on employee ownership. John lives with his wife Chris, in a co-housing neighborhood designed and built by his company. Contact John Abrams for speaking terms and dates.